This 85m length river tanker, constructed in Kladovo Shipyard and finished in Breko (Papendrecht), has been fitted with propellers designed and delivered by VICUSdt. These 3-blade propellers have been designed, using CFD tools, for assuring the best performance for this vessel. 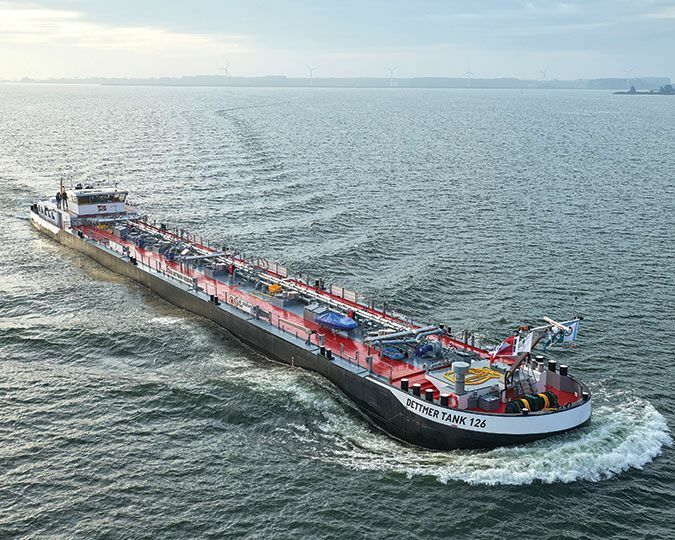 In the last years, VICUSdt has been working hand in hand with dutch shipowners and shipyards in the propulsion for inland navigation. You can find some projects with more detail in our web. Please find more details about this vessel here. Baixada Gándara, 36330 – VIGO (Pontevedra) SPAIN.